Becky Lynch's Rumble win couldn't save SmackDown. The road to WrestleMania is supposed to be the most exciting time of year for WWE programming, but this isn't being reflected in the company's viewership, with this week's SmackDown rating somehow declining after a successful Royal Rumble 2019 pay-per-view. The 29 January show drew an audience of 2,137,000 this week, down approximately 5,000 from the previous week. This is despite Becky Lynch's big Royal Rumble triumph, her confrontation with Charlotte Flair, and Daniel Bryan unveiling his new eco-friendly WWE Championship belt. This is worrying. 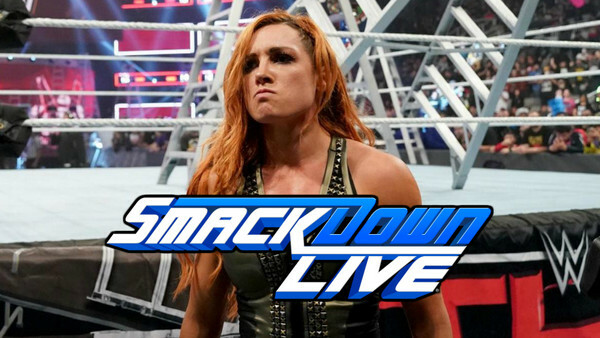 While ratings aren't the be all/end all anymore, and are depreciating as a valuable metric, that the blue brand couldn't draw a better number on the back of Lynch's victory is a problem, suggesting that for all her cheers and chants, 'The Man' may not be a needle-mover. Something has to change before the Fox deal kicks in this October, with WWE's new network reportedly expecting weekly audiences of around 3-3.5 million. A major shake-up should be expected, with WWE taking new risks to try and solve this seemingly chronic problem, lest they risk Fox pulling the plug on the big money television deal altogether.